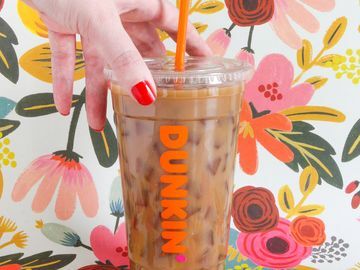 Here at Dunkin’, we are committed to offering our guests great-tasting, high-quality products. That’s why we are kicking off the New Year in a big way. 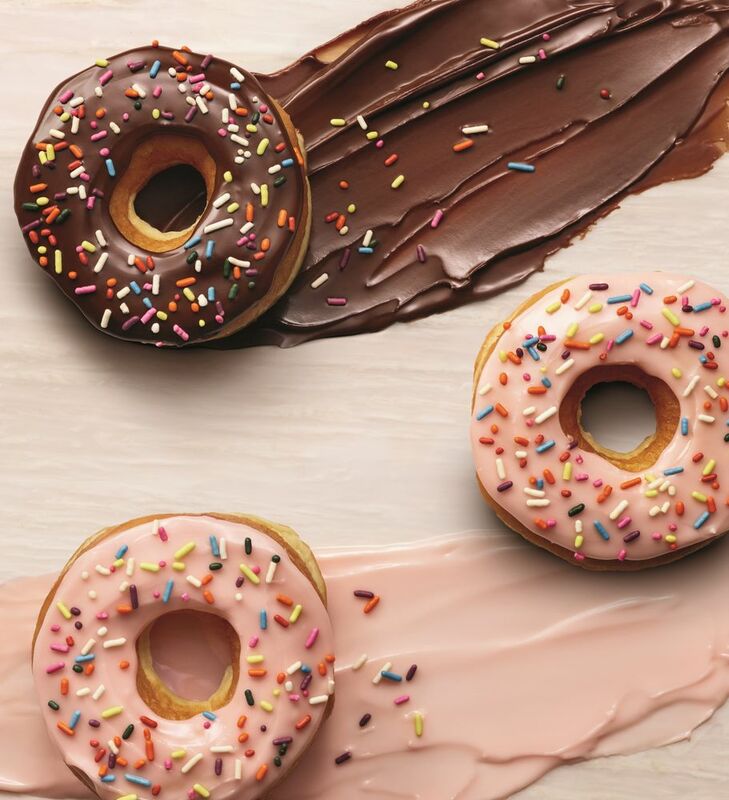 We are thrilled to announce that we have removed artificial dyes from our donuts in the U.S., and now all donuts sold at Dunkin’ Donuts restaurants nationwide are no longer being made using colors from artificial sources. This is all part of a larger initiative to offer our guests simpler ingredients and cleaner menu labels. We previously pledged to eliminate artificial dyes from all of our food and beverages in the U.S. by the end of 2018, and we are are pleased to start the New Year with this exciting milestone. I’ve been with Dunkin’ for more than forty years, beginning as a baker in a local Dunkin’ Donuts restaurant and now as a Manager of Donut Excellence. 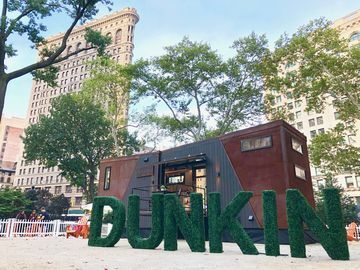 As a brand, Dunkin’ Donuts has always been synonymous with bright, colorful confections. Our fun and bright colors have become iconic. That’s why is was very important to us to develop donuts using simpler ingredients while still delivering the delicious taste and vivid colors our guests know and love. 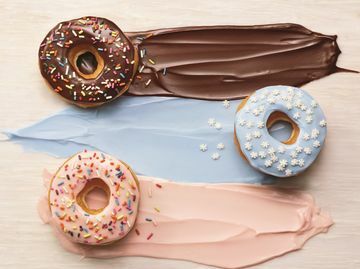 Our biggest challenge was replacing the artificial dyes in donuts with fruit juices and other extracts while balancing the flavor profile and bright colors. It took years of research and development to get it just right, and we couldn’t be happier with the final product. In 2018, we are continuing to innovate in the Dunkin’ Test Kitchen, working towards cleaner menu labels while at the same time introducing fun, new products such as the Snow Flurries Donut. The new wintertime treat features a yeast ring donut with wintry blue icing and special snowflake sprinkles, and is available now at participating Dunkin’ Donuts restaurants throughout the country for a limited time. 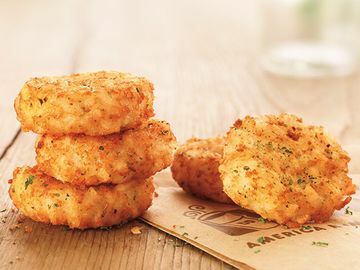 By the end of this year, we will remove artificial dyes across our menu, including donut icings, fillings and toppings, as well as frozen beverages such as COOLATTA® frozen beverages, baked goods, breakfast sandwiches and coffee flavorings. The exceptions include select supplier-branded ingredients produced by other companies that are used as toppings or decorative elements.